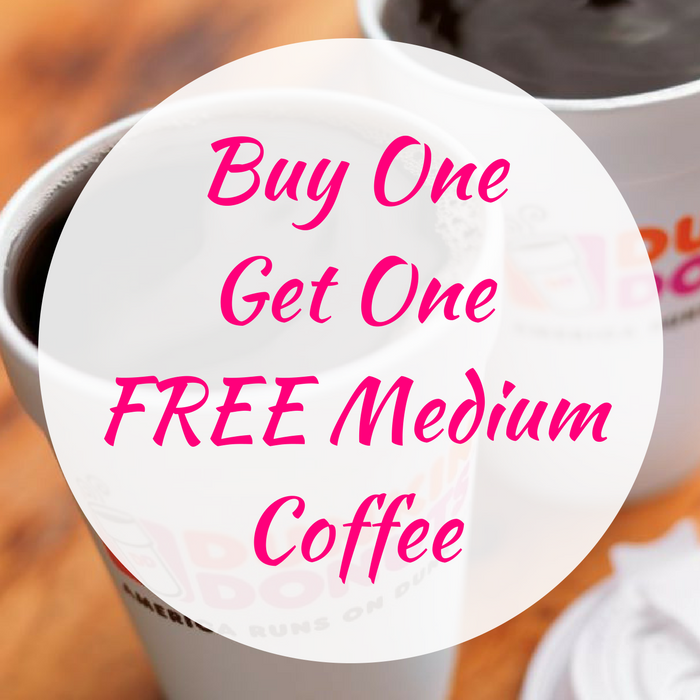 Buy One Get One FREE Medium Coffee! You are here: Home / FREEbies / Buy One Get One FREE Medium Coffee! On September 29 only! In celebration for the National Coffee Day, Dunkin Donuts will be offering Buy One Get One FREE Medium-Sized Coffee – no coupons needed! Awesome! Don’t miss it!